The posture of pride is “over-against” — over-against both man and God. 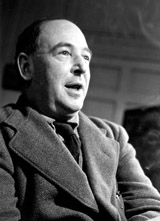 C. S. Lewis calls it the “great sin” and devotes a whole chapter to pride in Mere Christianity. He helps us see that pride is essentially competitive, that it is competitive by its very nature. I pointed out a moment ago that the more pride one had, the more one disliked pride in others. In fact, if you want to find out how proud you are the easiest way is to ask yourself, “How much do I dislike it when other people snub me, or refuse to take any notice of me, or shove their oar in, or patronise me, or show off?” The point it that each person’s pride is in competition with every one else’s pride. It is because I wanted to be the big noise at the party that I am so annoyed at someone else being the big noise. Two of a trade never agree. Now what you want to get clear is that. Pride is essentially competitive—is competitive by its very nature—while the other vices are competitive only, so to speak, by accident. Pride gets no pleasure out of having something, only out of having more of it than the next man. We say that people are proud of being rich, or clever, or good-looking, but they are not. They are proud of being richer, or cleverer, or better-looking than others. If every one else became equally rich, or clever, or good-looking there would be nothing to be proud about. It is the comparison that makes you proud: the pleasure of being above the rest. Once the element of competition has gone, pride has gone. That is why I say that Pride is essentially competitive in a way the other vices are not. The sexual impulse may drive two men into competition if they both want the same girl. But that is only by accident; they might just as likely have wanted two different girls. But a proud man will take your girl from you, not because he wants her, but just to prove to himself that he is a better man than you. Pride or self-conceit, Lewis points out, is the vice opposite the virtue of humility. While “The Great Sin” (Book III, Ch. 8 in Mere Christianity) focuses on understanding pride, Lewis also includes several helpful insights regarding growth in humility—as well as the difficult project of riding ourselves of pride. I rememeber C. S. Lewis saying in MERE CHRISTIANITY that pride comes from the pit of hell. No one could have said it better. It is terrifying because when I examine my life, what I pass off as “righteous indignation,” or just being “rough around the edges” is pride that needs to be confessed by me. I wonder if these observations can be scaled up to view world problems as being rooted in national pride? My old college history books blamed nationalism as the cause of WWII. This might have explained the German,Italian and Japan’s nationalism fairly well but there was shame and outrage as a result of the Pearl Harbor Raid. They made us look unprepared to say the least. I think that our pride in our past economic accomplishments now prevent us from even considering that there are limits to the social programs that can be supported. Even when Obamacare is given only a six year financial lifespan before it is broke, we push on with no plan to fix it or even mitigate the short viable lifespan that it will have. Critics of the President like Dinesh DeSouza, say that he wants to bring the country down a notch. Can diminished pride save us? Probably not because we have a particularly difficult pride to extinguish. We prefer pride in our intentions over pride in our results. This only makes the bad results last longer and become more toxic over time. We seem to attack the bad results to give longer life to pride in our intentions. This is like playing football with the intention of winning but when the score is displayed, we must somehow blame the scoreboard for producing an “unjust” outcome. Obviously, Truth is a major casualty with a collision with Pride.